No other city elicits such wonder and excitement then the city of Las Vegas. The phrase, "What happens in Vegas, stays in Vegas" is known by many across the globe but few know that it is an understatement. The possibilities are endless in the world’s greatest playground and you want to experience it the way it should be, the way that we at MW Travel Vegas know you want to. Transportation may not be the first thing you think about when planning your trip here but it is an important part of your visit and has the potential to make or break your experience. If you are looking to turn heads, make a commanding presence everywhere you go with an SUV limousine that will see to it that you are not only taken seriously, but are arriving in such style in luxury. 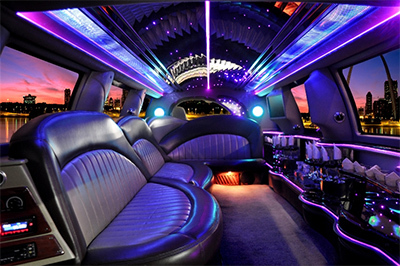 Our SUV limousine comfortably seats twelve individuals in it’s plush air-conditioned confines and a wet bar. The TV/VCR, entertainment system and stereo CD player help you get the night started right and never let up until you so desire. Our uniformed chauffeurs have years of driving experience and know Las Vegas incredibly well. They understand the importance of the customer experience so you will not be disappointed. Additionally, our privacy dividers also offer an extra touch of class so you wont be disturbed during your ride and free to be yourself. We offer various packages to help enhance your night and overall experience with us. Drink packages that will have your SUV limousine stocked with premium beverages of your choice. We also offer incredible tours of Las Vegas, our most notable being our highly talked about gentleman’s club tour. All you need to do is pre-book your plans with us and ask any questions that you may have so that we can assist you with any additional services you may want and we would be happy to suggest ideas based on your interests so that your visit here is that much more memorable. Whether you are here on important business or for that much deserved, much needed break from it all; you want an experience that is memorable from start to finish. MW Travel Vegas will see to just that. Reliability, luxury, and unparalleled customer service. We are confident that after allowing us to serve you that you choose us again and again in the future for all your transportation needs upon each visit to Las Vegas.